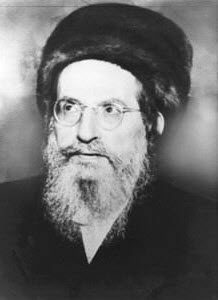 In the book of Rav Hamnunt Saba reveals that the words of King Solomon (Songs 4:1) “הִנָּךְ יָפָה רַעְיָתִי” ‘You are beautiful, my wife’ is the way ‘Father’ calls ‘Mother’ because they are not separated. Together as YH יה they are called (Songs 5:1) ‘רֵעִים’, ‘friends’. The upper H ה of the name is called ‘Wife’ and the lower Hה is called ‘Bride’. Songs 4:8 “אִתִּי מִלְּבָנוֹן כַּלָּה אִתִּי מִלְּבָנוֹן” ,”Come with me from Lebanon, my bride” . When Zeir Anpin is not connected with the ‘Bride’ because of impurity then Malchut is the aspect of a ‘woman’. When Malchut is pure and Zeir Anpin wish to unify with her then she is back to the state of ‘Bride’. Father and Mother are always in an uninterrupted unification. It it wasn’t so then there would be no light available from Chokmah to sustain the world. Mother has ‘dependents’ and her desire for Father never leaves her. Their complete and constant unification keeps the flow of Light from Father to her and let her continue the flow of the ‘river’ to her children below. For the lower unification, Malchut raise the desire for the Light. With her purity, Malchut becomes a ‘Bride’ and receives light from Z”A into her ten sefirot. This process is followed with each lower unification.